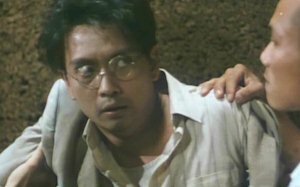 The Skinny: Multiple award nominee at the 1998 Golden Horse Awards, and deservedly so. An engaging, fascinating film encompassing character, politics and history. This fascinating, entertaining comedy-drama from Clifton Ko and Raymond To is one of 1997’s best films. The story concerns Kiang Yu-Kou (Cantonese Opera star Tse Kwan-Ho), a famous screenwriter whose obvious genius is also his curse. Right from the start, his intellectual superiority gives way to eccentric behavior as he pursues his first love, a journey which takes two years and leaves him nearly destitute. Returning to his hometown, he revisits his love of Cantonese Opera. Not content to merely watch, he begins to compose as well, even impressing an important actor. Despite his indomitable pride and a stubborn refusal to compromise, he rises to fame in pre-war China as the foremost playwright of Cantonese Opera. He gives himself a pen name: Mr. Thirteen, so named because he was the thirteenth son of his father.